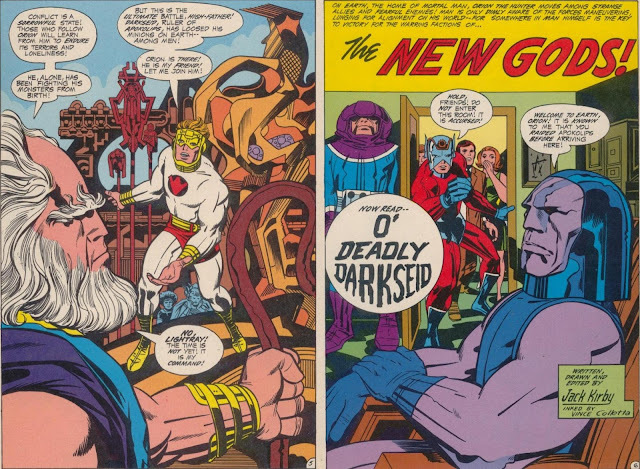 The Daily Kirby: A TRADITIONAL DIPTYCH? Is there any chance you could posts images not-connected together? It just that blogger compresses the image - so any hight the images had individually is shrunken. Its just that you're putting up such great images (some I've never seen, like from Hunger Dogs) and would love to see each page as large as possible.